At TASK Community Care we understand that you may have some questions regarding Telecare systems. Please take a moment to view our commonly asked questions below. What happens when I press the button, or when a detector is triggered? 1. When you press the button, or when a detector is triggered, within seconds a call is placed to Carelink staff at our Response Centre. 2. A two way speech channel is opened between the base unit in your home and our Carelink staff, twenty four hours a day, seven days a week. 3. Carelink staff will ascertain whether or not you are alright. If not, or if they do not hear a response, they will immediately contact a family member or the emergency services, depending on the situation. How are your Response Centre staff trained? All Carelink staff receive extensive in-house training in call handling, systems and protocols. Experienced staff are always on hand, to ensure appropriate action is carried out promptly and effectively, regardless of the situation. We have two simple pricing plans. You will always pay for the monitoring, but you can choose to buy the equipment outright, or rent it for a small weekly charge. Payment is quarterly in advance by Cheque or Postal Order. For product pricing please contact us for a no-obligation quotation. Is the equipment of a high standard, if so how does TASK keep charges so low? TASK supply only top of the range equipment, for instance we are Ireland’s largest distributor of the well known Bosch brand telecare equipment. Because we purchase thousands of units each year, we are able to negotiate reduced rates from our suppliers and are committed to passing these savings onto customers. The minimum contract period is 12 months. If you choose to cancel after this please let us know and we will arrange a suitable date for collection of the equipment if it is being rented. I currently receive monitoring from a different provider but I would like to change over to TASK, is this possible? Yes, you will need to check your agreement with your current provider, but it is usually possible to change telecare provider easily. Unlike some other response centres we can monitor all manufactures of telecare equipment including Bosch, Chubb, Initial, Scantronic, Tunstall and Tynetec. Why should I choose TASK? Tell me more about how the telecare sensors work? When an alarm is triggered in the home, from your personal alarm button, or from a sensor such as a telecare flood detector, a signal is transmitted to a base unit in the home. This 'base unit' is the central part of the telecare system and is connected to your phone line. 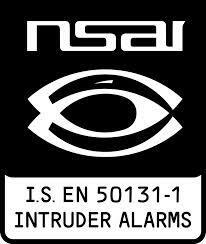 It receives signals from your personal alarm button or sensors. The base unit contains a built in speaker and microphone to enable you to have a conversation with Carelink staff at our Response Centre in Ireland. The microphone is extremely sensitive so that you can still be heard even if you are in another room. However, if we do not hear a response we will call one of the contacts you have given us, or the emergency services if necessary. What if I don't have a landline at home? If you don't have a landline in your home we can provide an additional device to the telecare base unit (called a GSM module) which will provide a wireless connection to our Response Centre. Please contact us for further details. How do I arrange to get telecare for my home? Arranging for telecare in your home is a simple process. There are no complicated forms to fill in and anyone can have it provided. Simply contact us and we will arrange a convenient date for installation. How is the equipment installed and is much wiring required? The base unit is connected directly into a telephone socket and power socket in the home. There is little or no visible wiring. All additional items are connected wirelessly, such as the Bogus Caller button, monitored Carbon Monoxide, Flood or Smoke Detectors.